This book provides a fresh assessment of the works of poet and painter Mina Loy (1882 – 1966). Drawing on neglected archival material, Scuriatti illuminates the often-overlooked influence of Loy’s time spent amid Italian avant-garde culture. In particular, she considers Loy’s assessment of the nature of genius and sexual identity as defined by philosopher Otto Weininger and in Lacerba, a magazine founded by Futurist leader Giovanni Papini. She also investigates Loy’s reflections on the artistic masterpiece in relation to the world of commodities; explores the dialogic nature of the self in Loy’s autobiographical projects; and shows how Loy used her “eccentric” stance as a political position, especially in her later career in the United States. 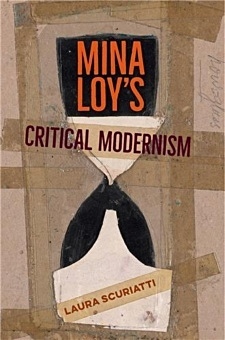 Offering new insights into Loy’s feminism and tracing the writer’s lifelong exploration of themes such as authorship, art, identity, genius, and cosmopolitanism, this volume prompts readers to rethink the place, value, and function of key modernist concepts through the critical spaces created by Loy’s texts. Laura Scuriatti, professor of English and comparative literature at Bard College Berlin, is coeditor of The Exhibit in the Text: Museological Practices of Literature.